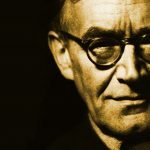 In the first volume of the fourth part of his Church Dogmatics Karl Barth argued that the atonement was true and real for all human beings as a result of the work of Jesus Christ. The difference between Christians and non-Christians, is that Christians are those who have heard the Gospel, and as a result know that the atonement is real for them also. This is the work of the Holy Spirit.